Oscar and Simba came to Purrs after their owner became terminally ill and could no longer care for them. Purrs took them in to ensure they were re-homed together as their owner wished. 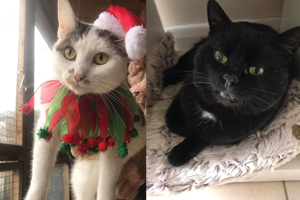 The boys thrived in their foster home and craved fuss and attention from everyone they met, the most affectionate cats their foster mum had ever taken care of! They now have four of their very own humans in their new home with plenty of countryside to explore and lots of laps to choose from. 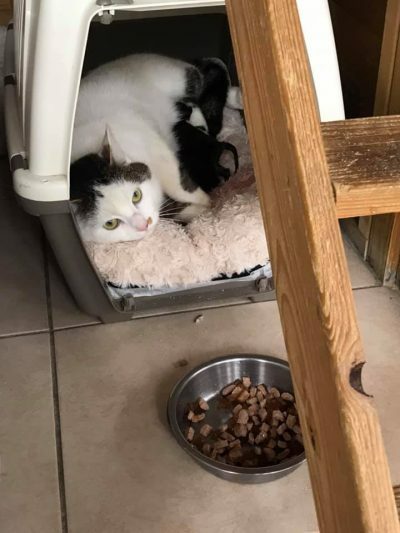 Their new mum said “We are all sooooo pleased and lucky we got them, we love them so much”. 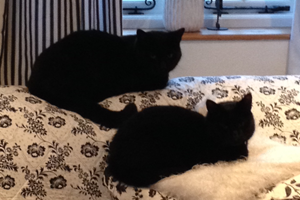 Oscar and Simba were re-homed in December 2015.